The Video Game Amy Was So Bad- Not Even The Patch Helped! 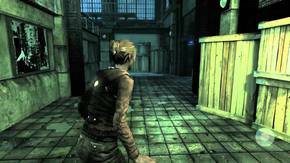 The 2012 Survival Horror Stealth Game Amy Bombed - Most Panned It! One of the video games lexis-games.com is most impressed with is a game called Amy. Many are of the opinion that this game that was released in January 2012 by developers VectorCell for the Xbox Live Arcade and the PlayStation Network, was one of the worst ever! 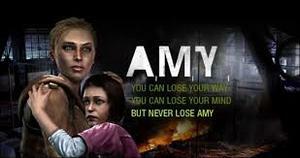 Published by Lexis Numérique, Amy is what is termed as a survival horror stealth game. To start with it doesn't sound like the most exciting way to enjoy ones past time, but then each to their own. Let's take a closer look. The main character of the game Amy is an autistic yet psychic 8 year old child. The player plays her protector Lana, who must stay as close to her as possible for ongoing healing, whilst protecting her at the same time from the infected and the Phoenix Foundation who are trying to exploit her. Like in most video game movies, the two are trying to flee the disease infected town and encounter the military along with monsters and zombies as well as other enemies as they attempt to escape. The player (Lana) is forced to protect the 8 year old as she is the only one who can heal her, they both need one another. Lana often forces the child to hide from the walking dead, but herself is succumbing to the disease, and without infrequent syringes, must remain close to the autistic child's side. With her psychic abilities the young child can use shockwaves to disburse enemies and objects and create other distractions, whilst keeping Lana out of the clutches of harm as they make their way to Silver City and to a doctor's help. On April 6, 2012, a patch was made available by VectorCell with major game changes, however the rot had already set in. It seems the old adage unfortunately still applies... you can't make a silk purse out of a sow's ear. The jury has spoken.